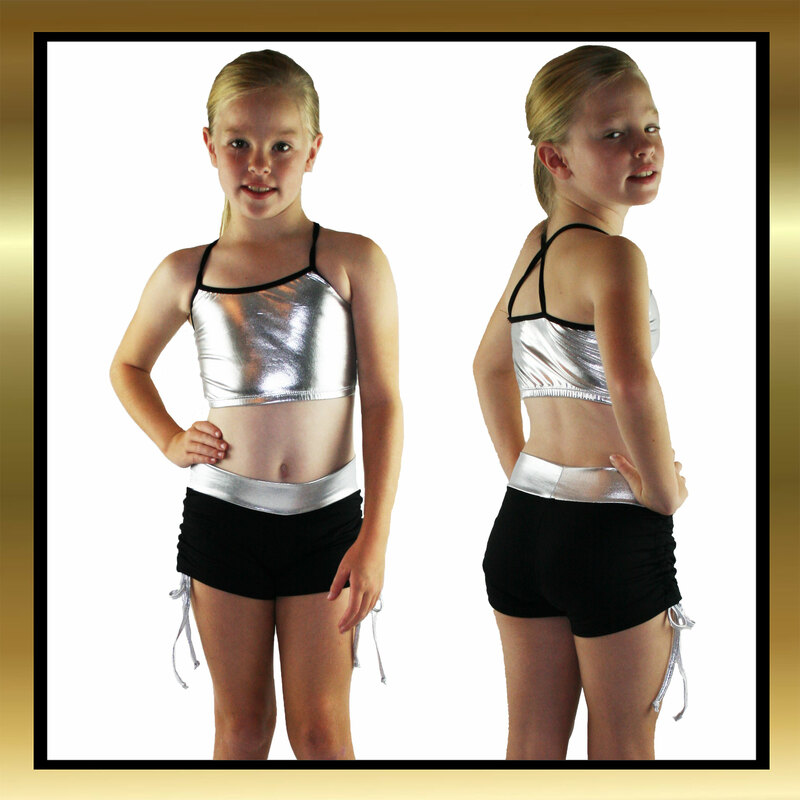 Childrens dance shorts and matching top in stunning silver and black lycra. Tie side stretch lycra black shorts with a silver wet look metallic elastic free waistband and side ties. Ties can be adjusted higher or lower to suit your childs size and preference making them more versatile for many different uses. 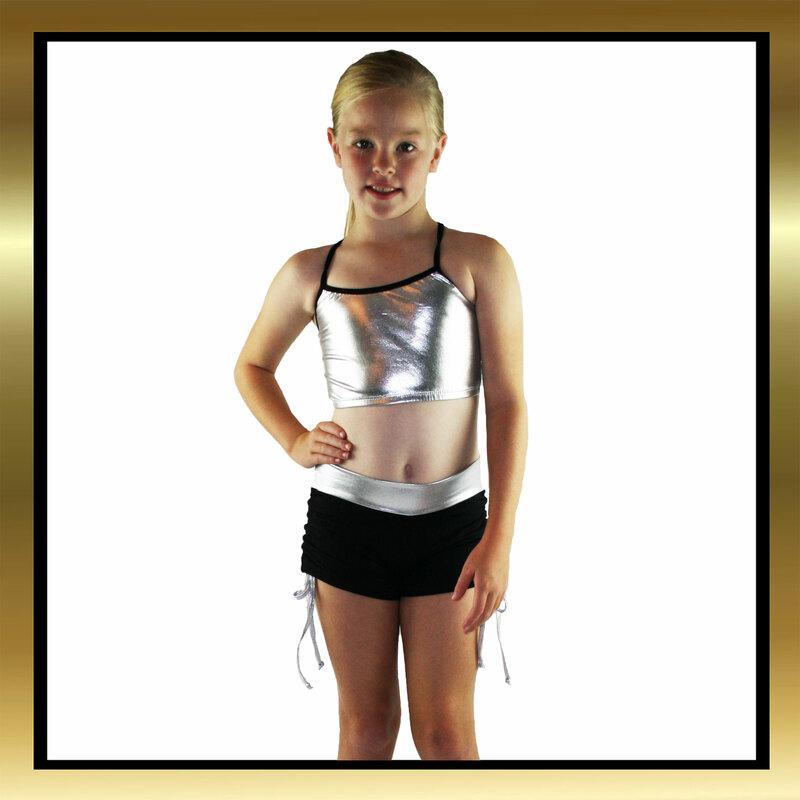 The matching spaghetti strap top is also made from silver spandex with black edging crossing over at the back. The top has elastic at the bottom to stop it riding up and hold it firmly in place during your dance routine. This vibrant colourful kids dancewear is suitable for tap, jazz, hip hop and all other dance routines.